Jazz history texts seem to have written about female instrumentalists and band leaders with the invisible ink. This well-rounded lesson plan has a mission to bring these fabulous female jazz contributors back to the light of day. 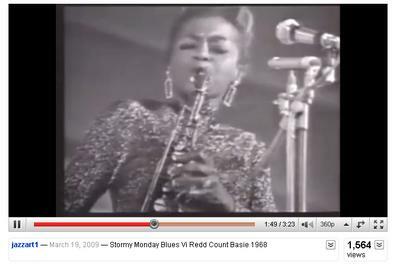 Start the lesson by playing Stormy Monday Blues (1968), by Count Basie, featuring Vi Redd who both sings and plays the alto saxophone. Ask the students if they can name ANY jazz musicians, then ask them if they can name or discuss any female jazz figures (vocalist or otherwise). 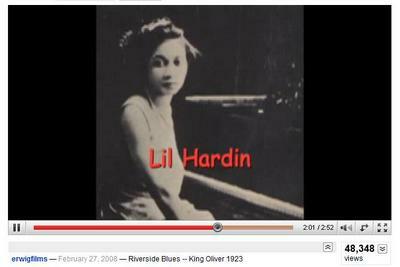 Explore the lesson by playing the YouTube example of Lil Hardin playing with the King Oliver’s Creole Jazz Group entitled “Riverside Brass”. Discuss the elements that make this style of jazz early-combo style/ New Orleans/”Dixieland jazz” music. Mention Lil’ Hardin’s style of piano playing on this piece. 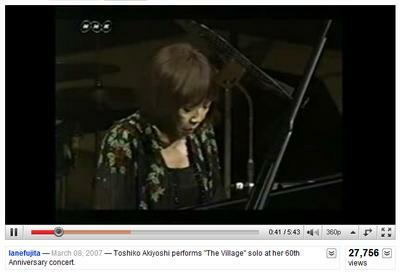 Next, play the piano solo by Toshiko Akiyoushi (The Village) played by her at her 60th Anniversary Concert. Briefly discuss the difference between Lil’ Harin’s role in the piece as accompaniment as compared to Akiyoushi’s soloist performance, also take a few minutes to note the drastic difference in jazz styles. Develop the lesson by discussing one of the most prolific composers in jazz (female or otherwise), Mary Lou Williams. Not only was she an amazing jazz pianist, she wrote hundreds of compositions and arrangements for famous bandleaders including, Duke Ellington, Andy Kirk, and Benny Goodman. 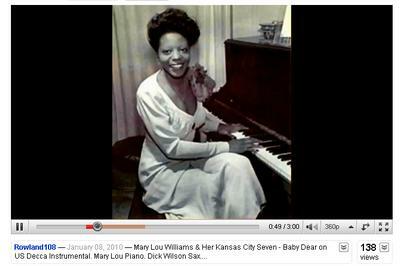 Play the song by Mary Lou Williams & Her Kansas City 7, Baby Dear. If there is enough time, play the YouTube Example of Mary Lou Williams’ tune Roll ‘em as played by the Benny Goodman Big Band. 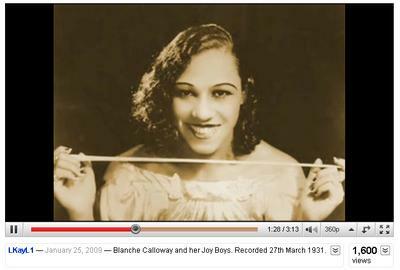 Close the lesson by playing videos from two famous Female Band Directors –Ina Ray Hutton (Leader of “Ina Ray Hutton and Her Melodears jazz band”) and Blanche Calloway (Leader of “Blanche Calloway and Her Joy Boys” and the older Sister to “Cab” Calloway). Take a few minutes to discuss why it was difficult for a woman to be accepted as a jazz instrumentalist, or even more difficult -a jazz band leader, before recent times. Are the students able to identify a number of the women talked about in this lesson? Can the students talk about why it is important for women to be included in the discussion about “jazz history”? Are the students able to talk about why it was difficult for women to be accepted as soloists, composers, and band leaders in a “world” that was dominated by men? 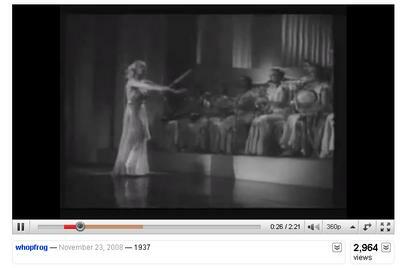 Can the students hear differences the differences in some of the styles of jazz presented by the videos? Cultural relevance –if included in the lesson discussion -Are the students able to discuss why it may have been even more difficult for woman to be accepted in this music-stream if they were not caucasian or “white”. Have your students collaborate by making a PowerPoint/YouTube/Web-Search interactive presentation about any of the great female jazz artists listed here (or elsewhere). A brief written synopsis about what type of Jazz they perform and what instruments they play and why they are important figures in Jazz. Why did they pick her and/or why do they like her or learn about her in the process?